A colourful first matching game for children aged 18 months and over, featuring friendly jungle animals. These include a crocodile, a tiger and a flamingo. Children can either play as a simple matching game by putting together the animal heads and tails or turn the cards over for a more complex memory game. 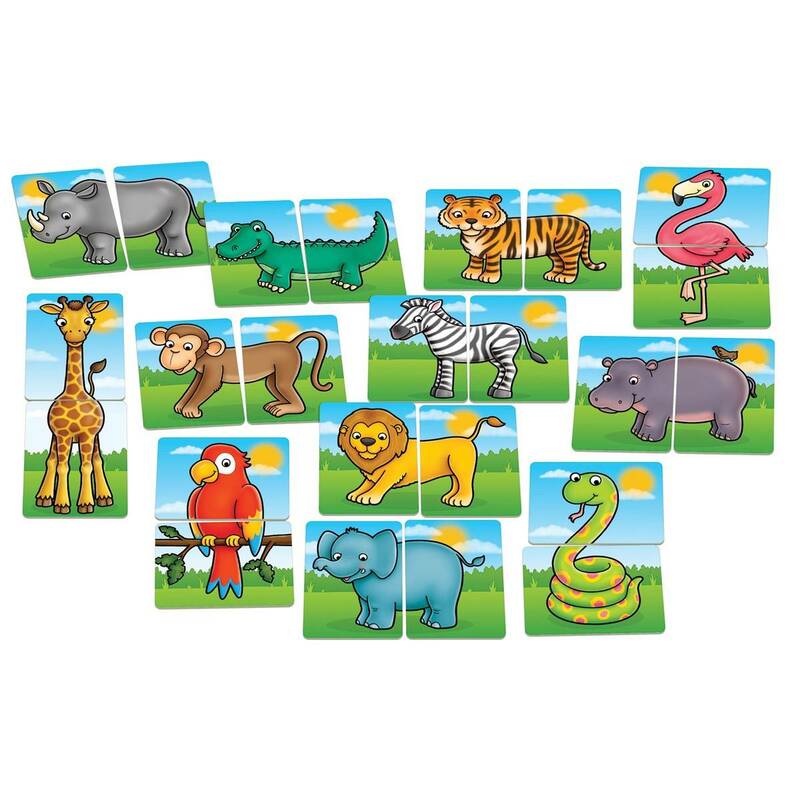 The large, wipe clean cards are ideal for little hands to hold and piece together. 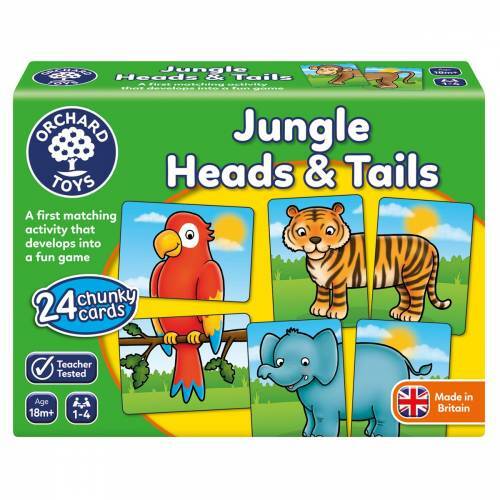 Jungle Heads and Tails is the perfect introduction to first gameplay and turn taking.